Openers are motorized devices that make opening and closing your garage door very easy. They often require specialized installation and careful maintenance in order to operate properly. We offer high quality installation and repair services for all types of gate openers. With our emergency service, you know a professional repair is just a quick phone call away. The main types of garage openers are chain drive, belt drive, and screwdriver openers. We provide service and repairs for all these types of openers so you can trust us to take good care of you no matter which type you have. If you want to install a new opener, we can provide you with all the assistance and advice you need to make the right choice. 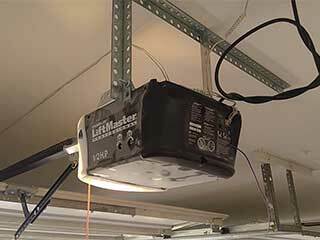 From repairs to installations, we have the expertise to cover all of your garage door opener needs. Whether you need a new opener or to repair or replace your current one or any of its components, we are just one call away. We carry various models and brands and we will provide you with an upfront estimated cost so you don't have to worry about any unexpected fees. Sometimes, your door opener may not need replacement, but some simple repairs instead. If that is the case, our team of well-trained technicians will be able to diagnose any problems with your opener and repair it in the shortest time possible. Call our expert team today with all the queries you may have about your garage door opener and we'll provide a quick quote.